Today’s guest is a Bestselling Author of 11 books specializing in psychological approaches to leadership. He’s one of the world’s top 10 thought leaders in organizational culture and leadership. 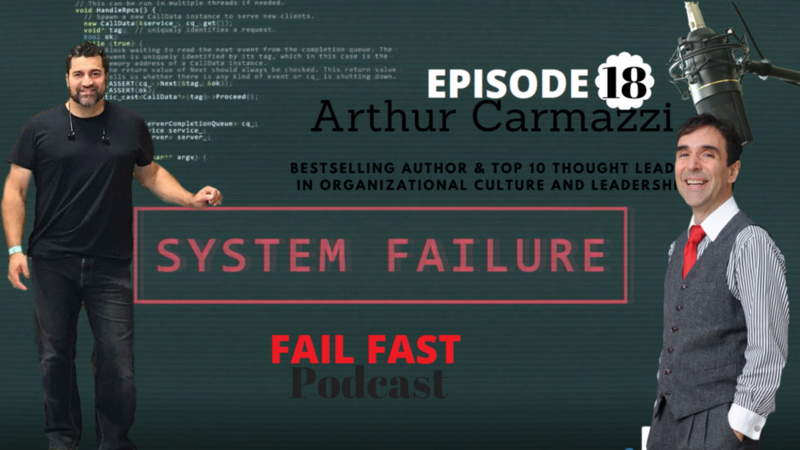 Arthur Carmazzi, Bestselling Author you have 11 books, founder of several businesses and organizations, Be but it all starts with an extraordinary half a million dollar in Dept FAILURE. 1 -How does one get into 500K in dept, and more importantly, how does one get out? 2 – how did failure support your success? 4- how do you create a high-performance culture? 5- how do you develop leaders with the Gen Z? 6- How can you have a leadership high school with no teachers? 8- HDMA what does it stand for and what is it? 10- How brain science support learning and clarity? 12- What are some psychology hacks parents can leverage to optimize child development? "The 6 Dimensions of Top Achievers"
"The Psychology of Selecting the RIGHT Employee"
"Lessons from the Monkey King"
"Architects of extraordinary team culture"